We have a table at the next Atlanta Comic Convention on Aug. 16 at the Marriott Century Center at 2000 Century Blvd., Atlanta, GA. 30345. 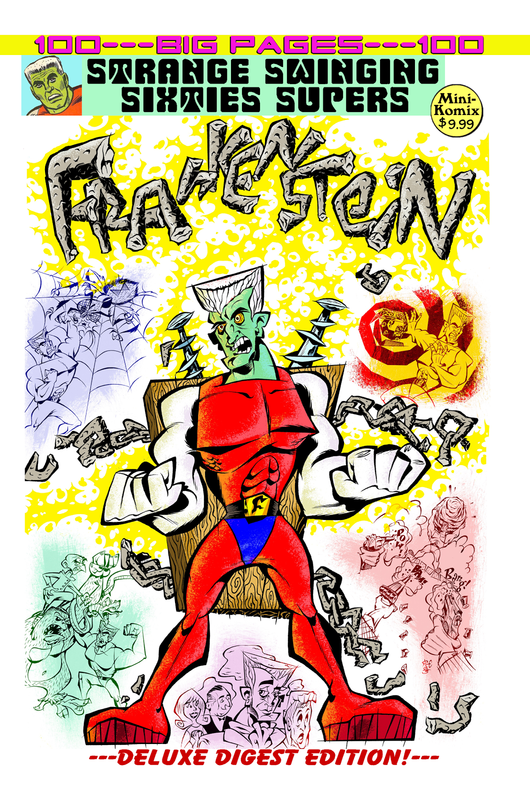 Strange Swinging Sixties Supers continues with the greatest stitchpunk creature of all time, Frankenstein! After laying dormant in the long abandoned Castle Frankenstein for over a hundred years, the creature is awakened by a stray bolt of lightning. He puts on a mask to blend into the regular world, and takes on the secret identity of Frank Stone. After saving the life of an elderly millionaire, Frankenstein is rewarded by becoming his sole heir, and collects his entire fortune. Frankenstein then uses his supernatural strength to take on the criminal mastermind Mr. Freek and his colossal gorilla Bluto from taking over Metropole City. Frank also confronts a hypnotic super computer, an evil double, a giant spider, and overgrown reptiles. 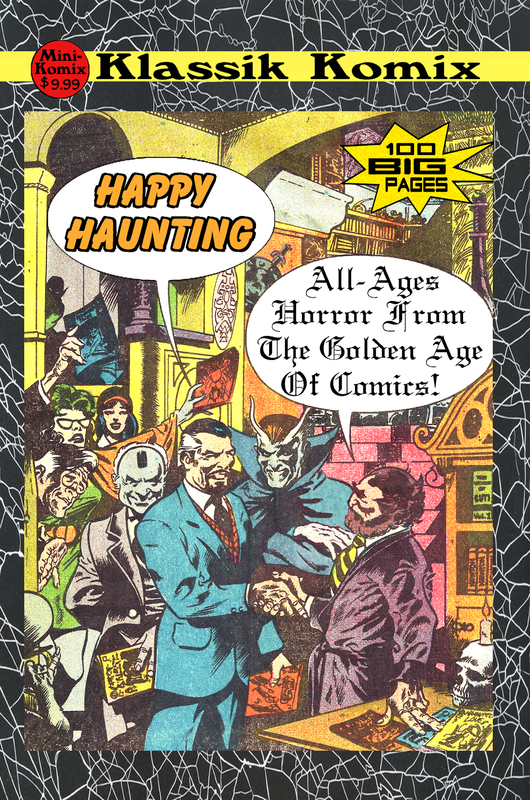 Superb Saturday Morning action and excitement in this monstrous marvel of the Silver Age! 100 Big Pages! You can order this from us, or get it at Lulu.com. Let's do the time warp again! 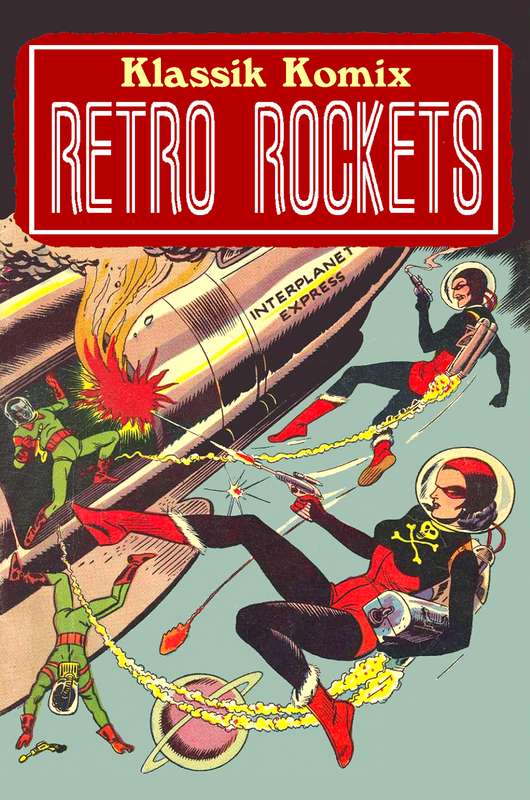 Klassik Komix takes you on a sci-fi romp of the ages! 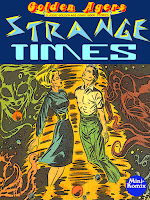 Malu the Slave Girl returns to the Arabian Nights, Space Detective finds future fugitives, Spurs Jackson meets Martians, Gale Allen goes to Venus, Stuart Taylor vies a viking vixen, greet ghosts from the grave, Sky Girl awakens in another time, and Pokey Oakey takes a science experiment through history! Otherworldly thrills, excitement, and fun with these Time Trippers! 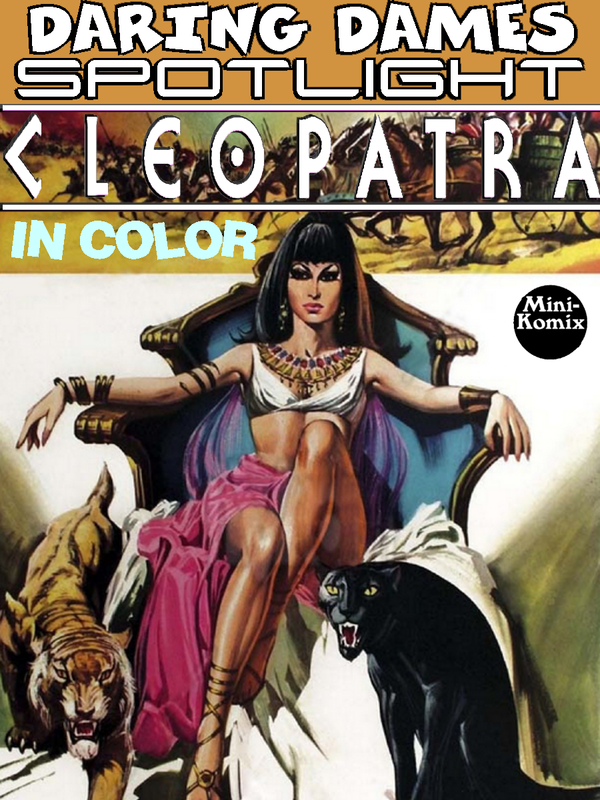 100 Big Pages, and in color! You can order this now at Lulu. 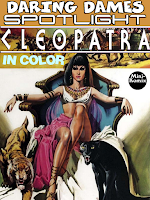 Daring Dames shines its spotlight on the undeniable Queen of the Nile, Cleopatra. Time traveler Stuart Taylor makes not one but two trips back to meet the curvy queen, boy adventurer Al Addin uses his magical hourglass to also go back in time to meet Cleo along with Marc Antony, the Time Skipper also pays her a visit, a modern day businessman is supposedly haunted by Cleopatra's ghost, and the trippy Torchy takes a modeling gig posing as the Egyptian queen. 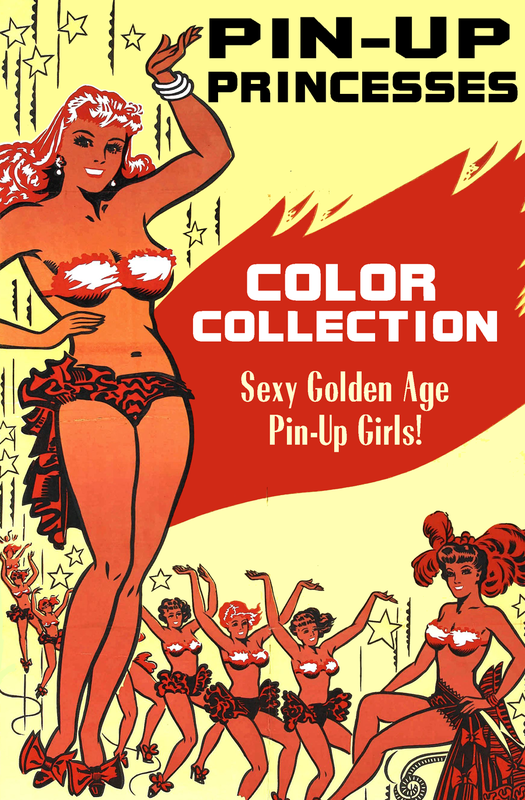 Comedy, sci-fi, horror, adventure, and more in this collection of Golden Age comic books! 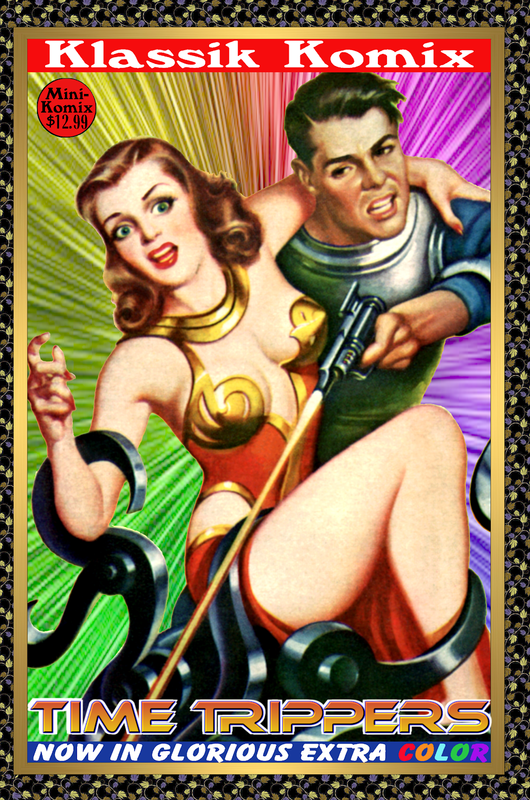 You can download this now at Lulu and Drive Thru Comics, as well as part of the Daring Dames Spotlight Bundle. 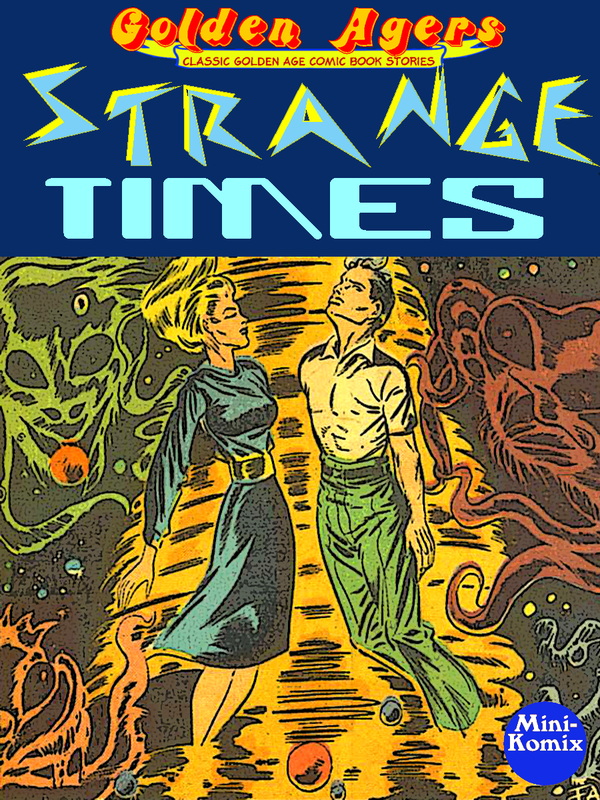 Golden Agers gets strange one more time with this collection of tales of time and space! Captain Science takes on the Martian Slavers, discover the origin of Lillith, colonists find new neighbors on an alien world in Blast Off To A Nightmare, find the Lair of the Horned Men, track criminals in the future, cowboy Spurs Jackson fights saucer men, see Space Gods, an ancient Egyptian learns swordplay in The Lesson, explore Evil Island, The Face sets out to solve a crime, astronauts get lost in One Good Turn, discover The Secret City, investigate ghosts with Dene Vernon, plus amazons rule the world in a dystopian future. Space is warped and time is bendable in these Strange Times! 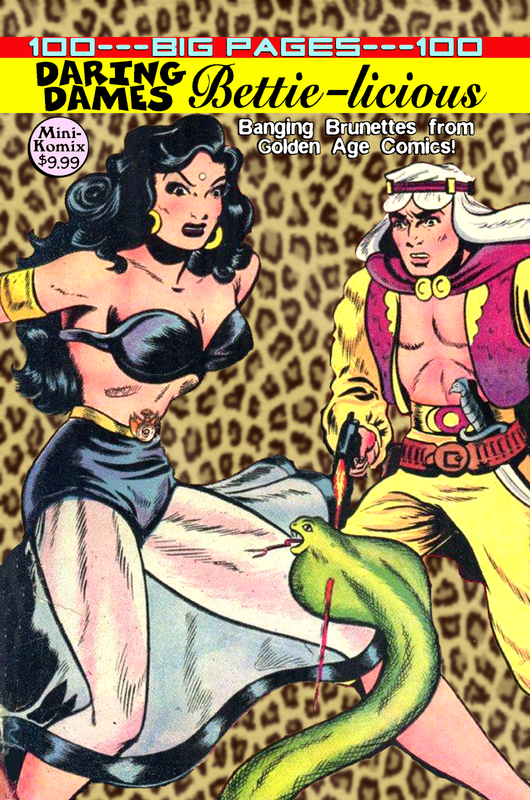 You can download this now from Lulu.com and Drive Thru Comics, as well as part of the Golden Agers: Strange Series Bundle.